“Unload” is a bit of a departure from their debut release “Hero”. Although both albums are pure, honest rock music; “Unload” is much heavier! 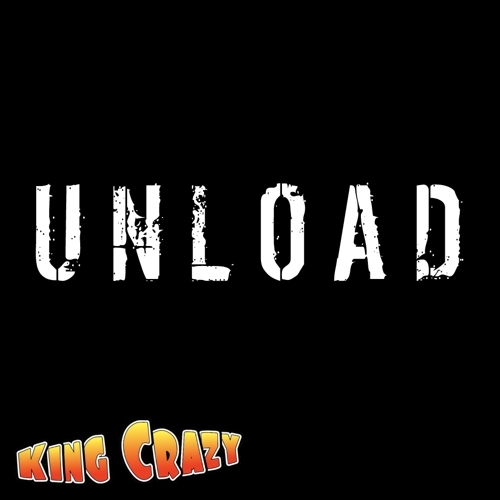 With hard driving grooves, in your face guitar riffs and melodic and sometimes angry vocals “Unload” with make the rush hour drive way more enjoyable! “Unload” was recorded at Ultimate Rhythm Studio in Hollywood, CA. King Crazy’s heart and soul is a Rock n’ Roll band. Not Glam Rock, not Metal, hell not even Hard Rock. Just good ‘ol straight forward Rock n’ Roll. All of this is what makes “A Rockin’ Christmas” one fun Christmas record! “A Rockin’ Christmas” was recorded, mixed and mastered at Ultimate Rhythm Studio in Hollywood, CA by band members Charlie Waymire and Ernesto Homeyer. “We set out to make a fun, rocking Christmas EP and I think we achieved that goal” says drummer Charlie Waymire. 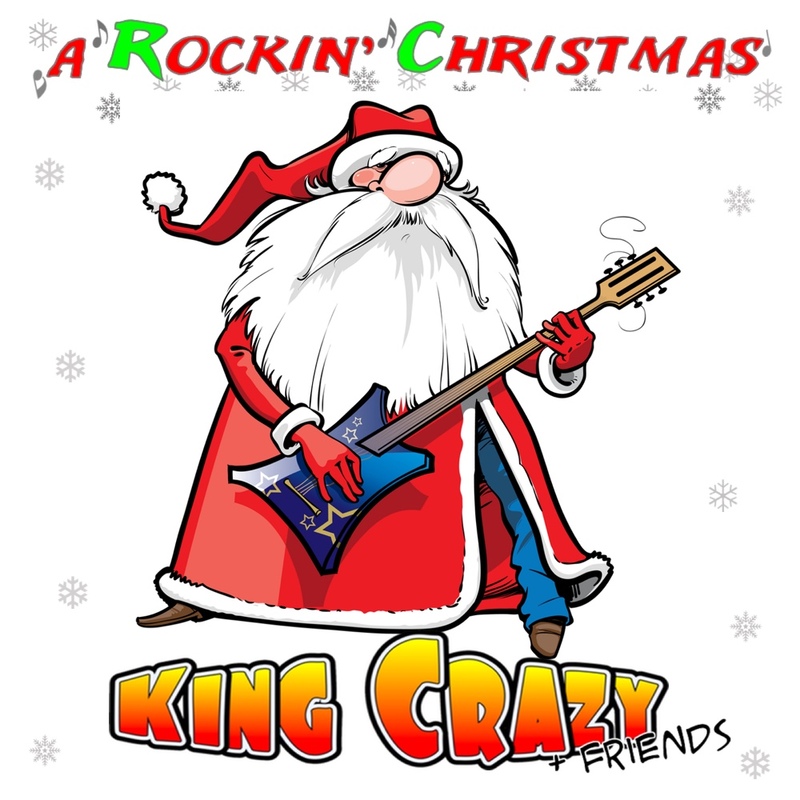 King Crazy didn’t simply cover a few holiday songs, they put their own twist on them with some clever arrangements, rockin’ guitar riffs, thundering drum grooves, lots of cool vocals and a touch of organ just to top things off. King Crazy’s band members Brian “Hacksaw” Williams (vocals), Ernesto Homeyer (guitar), Menno Verbaten (bass) and Charlie Waymire (drums) are joined by a truly talented cast of musicians including Tony Landers (piano on “White Christmas”), Gary Pritchard (piano & organ on “Rockin’ Around the Christmas Tree”), Leslie Jones (sax on “White Christmas”) and Nicole Carson & Aubrey Buchanan (all background vocals). With rockin’ and fun renditions of “Jingle Bell Rock” & “White Christmas”, the groovin’ blues shuffle version of “Rockin’ Around the Christmas Tree” to the AC/DC-esque track “Winter Wonderland” we’re sure that “A Rockin’ Christmas” will not only be a great addition to your holiday music catalogue but will jump start your holiday office parties too! It’s time to bust out the Eggnog and crank up the Christmas tunes! 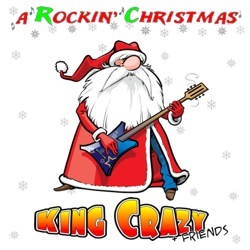 “A Rockin’ Christmas” is available at CDBaby.com and CharlieWaymire.com.